Tamarindo is a tree indigenous to Africa, but is also found in Asia and South America. The fruit of the tree is contained in hard brown pods, which produce a pulp that is sweet and sour in taste. Tamarind pulp is an important ingredient in Colombian and other Latin countries’ cuisines. You can find tamarind in Latin, Indian, and Asian markets, to name a few. It is available in plastic wrapped blocks of shelled tamarind with the seeds, whole pods in shells, or in glass jars. I love making my own pulp and usually buy the blocks, as I find them the easiest with which to work. In Colombia we use Tamarindo to make traditional desserts, drinks and savory sauces. I just love the sweet and tart taste of this fruit. 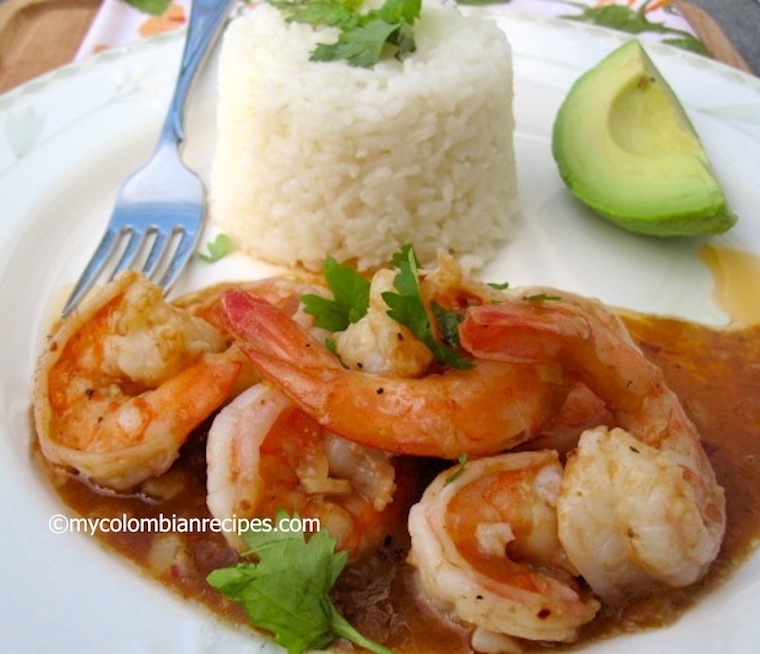 Camarones con Salsa de Tamarindo (Shrimp with Tamarind Sauce) is a fantastic dish boasting big flavors. 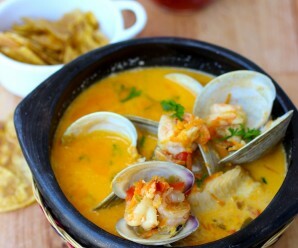 The best part of this dish is that you can experiment with other types of seafood or even poultry. 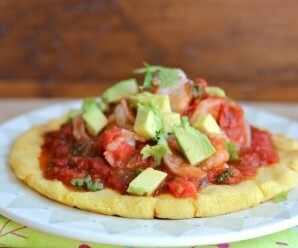 If you don’t eat shrimp, use cod or tilapia fish and it will be absolutely delicious. 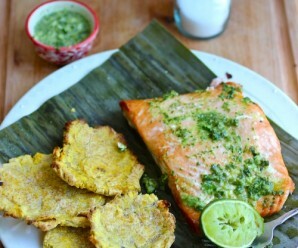 I love the type of dishes, like this one, where the ingredients are simple, but the flavors are intense. 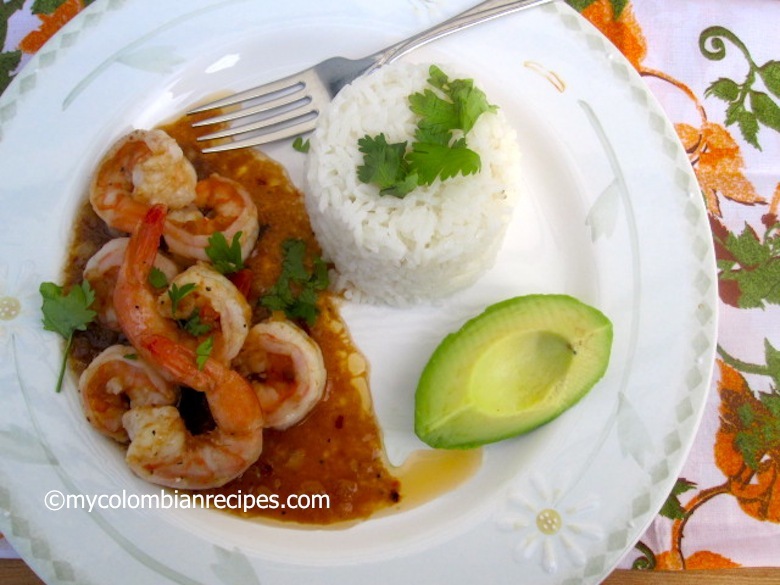 The shrimp adapts perfectly to the aromas of the tamarind and spices. It’s the type of dish that has me licking the last drop off the plate. Easy, elegant, and big in taste. What else could you ask for? Scooping a forkful of shrimp with the tamarind sauce and then a dollop of the white rice into my mouth was a blissful experience. This one comes with my highest recommendations. In a sauce pan over medium heat, heat the butter and oil. Add the onions and cook, stirring occasionally, until they are softened, about 5 minutes. Add the garlic, wine and cook for about 2 minutes. Whisk in the tamarind pulp until the mixture is smooth. Add the salt, pepper, sugar, cinnamon and bring to a boil, then add the shrimp. Reduce the heat to low, cover and simmer until the shrimp are cooked through, about 5 minutes. Season with salt and black pepper. 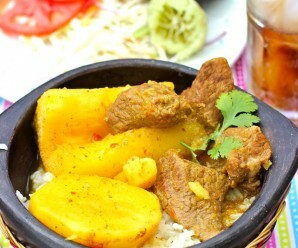 erve immediately with white rice. You are so inspiring when it comes to using tamarind. The sauce for the shrimp looks so intense and flavorfull. Beautiful pics. Mmm. Love it such unique flavor – it goes great with shrimp! I love the sweet-sour tang of tamarind..this sounds like such a tasty sauce. We first fell in love with tamarind last year. We have used the pods and have to make the pulp our selves, quite a pain. I need to find the pulp/paste, sounds much easier. What kind of onion? I tried red onion and I don’t think it was just right!! I’ve been waiting to try this recipe since I seen the pic and read the recipe. It was a bit time consuming making the tamarind pulp and at the end I think my ending result was a bit too thick. I made the recipe just like as listed but next time I will add more water to thin out the sauce but still very tasty.